State of Union research papers discuss President Barack Obama's third state address that occurred January 26th, 2011. The State of the Union address by the President of the United States is an important connection that is made between the President and the people of the country. Paper Masters will examine any state of the union address by any president and custom write a research paper that explicates the speech. 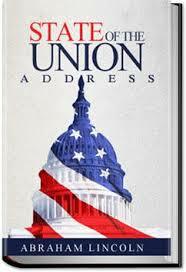 On January 26th, 2011, President Barack Obama gave his third State of the Union address. For the first time, he gave it while speaking to a Republican majority in the House of Representatives. The Republicans has largely decided to not participate in the first two years of governing and did nothing but obstruct progress. Now they would also have responsibility for governing. Coming less than three weeks after the tragic death of several people in Tucson and the assassination attempt on congresswoman Gabby Giffords, Democrats and Republicans broke with tradition to sit mixed on the House floor as opposed to separated by party. The President would try to set a tone of an above the fray, pragmatic problem solver while speaking to this very different Congress and the American people watching at home. He called for obtaining 80% of Americans power from renewable sources by 2035 and putting one million electric vehicles on the road by 2015. He called for paying for these programs by cutting subsidies to oil and gas companies. In a surprise slap to these powerful industries, he stated that we should no longer subsidize the industries of the past but be looking to subsidize those of the future. The President called for new spending and programs to help bring these projects to market. The president also called for major reforms in both individual and corporate tax codes. He suggested simplifying much of the code and using the savings to lower overall rates. He also called for a major reorganization of government bureaucracy to increase effectiveness and lower waste. Overall the president used his time to call set himself apart and reinforce his message the reasonable, pragmatic problem solver. We certainly know the race for 2012 has begun, whether we can solve actual problems with our viciously divided government is yet to be seen. Education Reform Policy research papers discuss the federal educational policy of the US government. Rhetorical Response - Rhetorical Response Research Papers examine how to order a response to an research paper, with giving specific details on what should be included. Argument Position on Stem Cells - Argument Position on Stem Cells Research Papers delve into a sample of an order on stem cells, with specifics on the format. John Hinckley - John Hinckley Research Papers discuss an American assassin, and the criteria to be considered one. Obama Versus McCain - Obama Versus McCain research papers sort out the issues between the Republican John McCain and the Democrat Barack Obama in the Presidential campaign of 2008. Afghanistan Troop Withdrawal Plan - On June 23, 2011, President Barack Obama addressed the nation and educated them on the Afghanistan troop withdrawal plan that he and his administration had put into place. Health Care Reform - Health Care Reform research papers discuss term used to describe changing health policy in a given country, specifically in the United States. Lilly Ledbetter Fair Pay Act research papers discuss the federal law that was signed by President Barack Obama that amends the Civil Rights Act of 1964. The Affordable Care Act - Affordable Health Care Act research papers examine the legislation, passed by Congress in 2010, to increase the availability of health insurance and access to the health care system for millions of American citizens. Federalist Paper Ten - Federalist Paper #10 research papers overview James Madison's paper on a representative government. Political Discourse research papers discuss the speeches and writings of politicians in pressure groups, the media, and political parties. Liberal Party - Liberal Party research papers look into the politics, and ideology of Liberalism. Agenda Voting Vs. Approval Voting research papers look at the two party system versus a political science proposal of agenda voting. In Favor Electoral College - Favor of the Electoral College research papers can make for interesting debate on how America runs its presidential elections. Government Spending research papers are custom written to address the federal, state and local spending habits of the government. Branch Local State Government - Branch of Local or State Government Research Papers delve into a sample of an order placed on observing a public meeting and focusing on a particular topic being discussed. Federal Stimulus - Federal Stimulus Research Papers delve into how the stimulus plan aids the economy and gets the economy out of recession. Executive Branch Government - Executive Branch of Government term papers examine the branch of government that is responsible for the daily administration of the nation. Judiciary Branch Government - Judiciary Branch of Government term papers examine the branch of government that is responsible for explaining and applying the law. Paper Masters writes custom research papers on State of Union and discuss President Barack Obama's third state address that occurred January 26th, 2011.